1. Being named one of Indy’s 15 people to watch in 2015. 2. We got an apprentice! Have you met Brittany? She’s been such a delightful and helpful part of Bee Public’s year. As we move in to an even more education-focused mission and expand our network of beehives, she’ll continue to *bee* there. 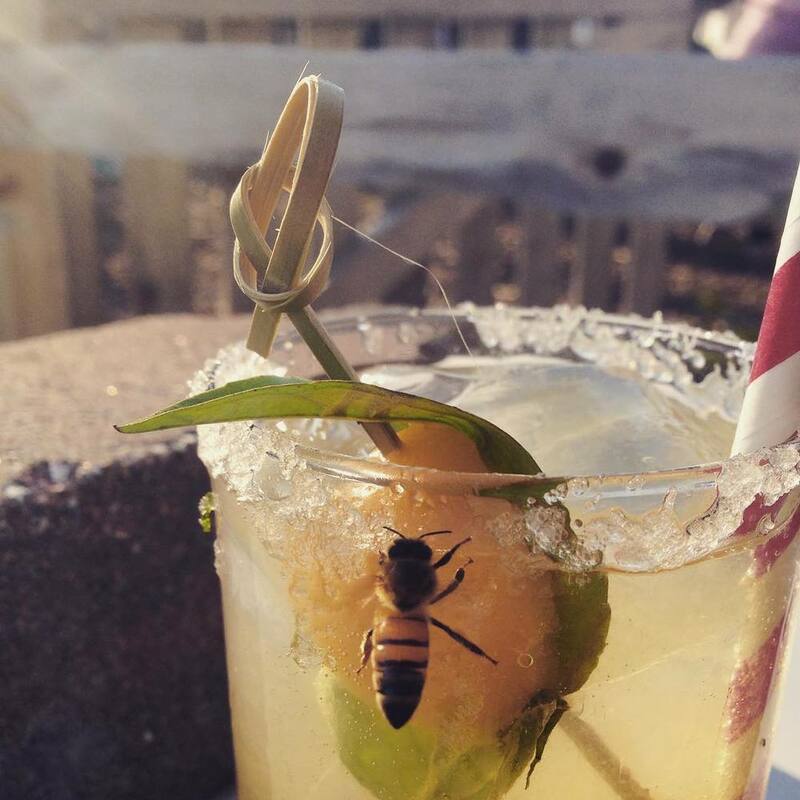 Want to participate in Bee Public’s 2016 Apprenticeship Program? Email us. One of the coolest things about the internet is being able to connect with fellow beekeepers near and far. Kate made a visit to Chicago and Portland this year, meeting up with Bike-a-Bee’s Jana Kinsman and Bee Local’s Damian Magista. It just so happens they’re some of the coolest beeps you’ll ever meet. Your calls, tweets, and emails made it happen. Just before one of the busiest weekends of the summer, we captured a swarm of bees along the Cultural Trail and re-homed them to a nearby urban farm. 5. We won a Sustain Indy Grant! Our good friend Jim Poyser of Earth Charter Indiana teamed up with Bee Public to land this $10,000 grant from Indy’s Office of Sustainability for our new program, Save the Bees Indiana. With the money, we’ll be traveling to schools all over Indiana to talk about bees, getting kids, parents, and teachers to take action to decrease or eliminate the use of bee-killing pesticides, to take civic action, and we are integrating art by having each student create a bee sculpture from recycled materials, which we will exhibit on Earth Day 2016 at the ArtsGarden. Part of the Save the Bees project also includes placing beehives or pollinator habitats at area schools. Bee Public’s mission has continued to evolve over the years, focusing more and more on education, particularly youth education. We are pleased and excited to place beehives at (at least) six schools next year. In 2015, Bee Public gave more than 35 talks, classes, and field trips (with around 2,000 participants total) about bees. Not to mention all the folks we reach online through social media. 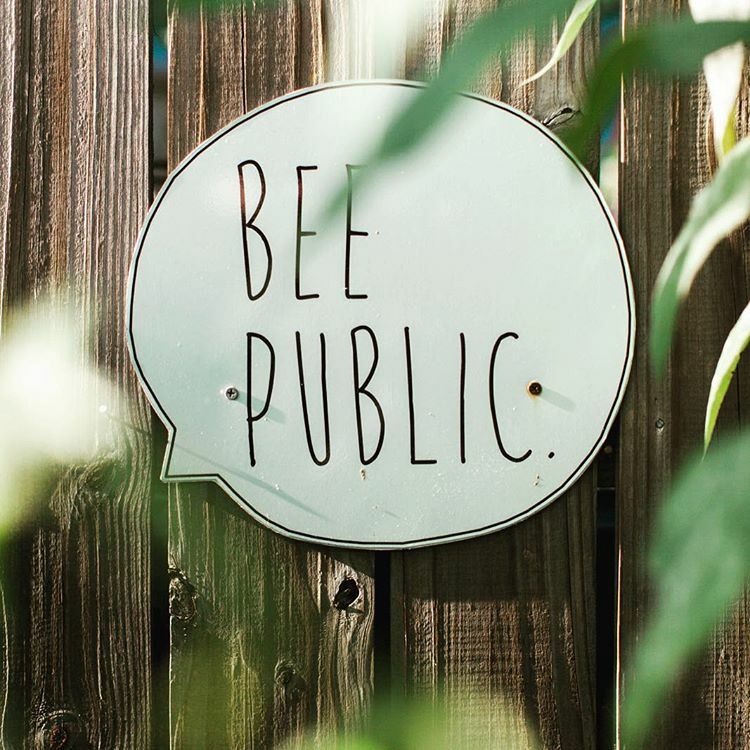 Thanks to your donations and support, Bee Public will continue to spread the word about why bees are so important to us and what we can do to help them out. 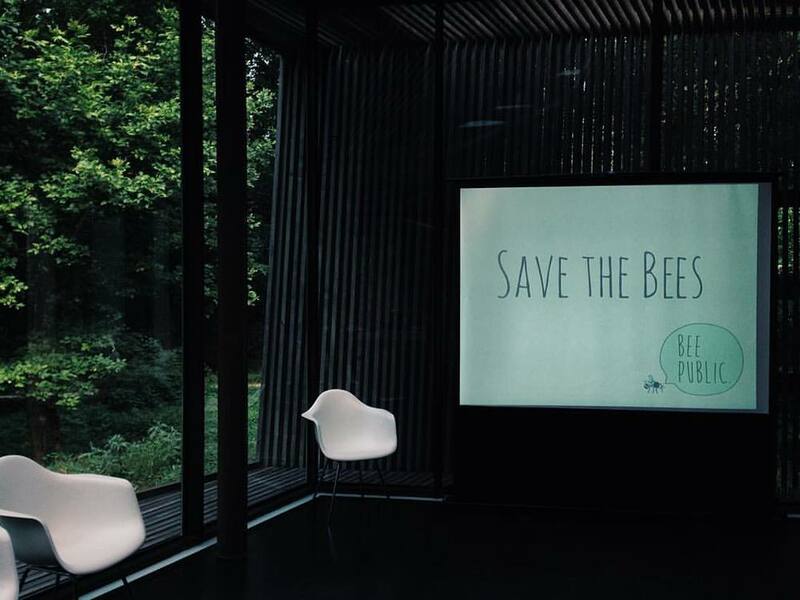 In the next few months, we’ll be visiting more classrooms to talk about bees and hope to continue educational programming with organizations including the Patachou Foundation, the Indianapolis Museum of Art, the Children’s Museum and more. Arts Council of Indianapolis, Bee Public and Earth Charter Indiana will raise awareness of the plight of Honey Bees in a month-long exhibition in the Artsgarden in April of 2016. Much like the Monarch Butterfly exhibition in 2015, the artwork collected from Indiana students will be displayed in the Artsgarden in downtown Indianapolis during the month of April. This project is in part thanks to a SustainIndy Community Grant Program. One in every three bites of food we eat is made possible by pollinators such as Honey Bees. An estimated $15 billion worth of crops is pollinated by Honey Bees, including more than 130 fruits and vegetables in the United States. Honey Bee populations continue to decline due to Colony Collapse Disorder, diseases, parasites, poor nutrition, and pesticide exposure. The work should be created using primarily reused or recycled materials and should be in a 3-dimensional form able to be hung from above or attached to glass walls. (See images attached/below of successful Monarch Butterfly installations) Interested class groups or individuals should research what materials are not being recycled or reused at their school and at home to discover the best materials with which to create their sculptures. The majority of the materials used to make the sculptures must be recycled or reused/reclaimed. Each piece should include a small loop or some form of hanging mechanism. All sculptures due in the Artsgarden no later than April 1 – no foolin’! There are no size requirements, but bees should be no greater than 4”x4”x4”. Limit weight of piece to 5 lbs. Any larger and/or heavier pieces will need prior approval. If interested in submitting artwork, please e-mail Jim by December 1 at jimpoyser@earthcharterindiana.org. You will then be on the list to receive updates with greater detail regarding delivery of art, special events, educational materials for students, etc. For further information about the project and submitting artwork, contact Jim Poyser at jimpoyser@earthcharterindiana.org. For information about installation or the Artsgarden, contact Shannon Linker at slinker@indyarts.org.